People born specifically on the 30th of December are conjectured to be energetic with a curious mind and typical of the Capricorn zodiac sign, honest and fairly straightforward emotionally. The ruling astrological planet for this particular day is Jupiter making your temperament quite serious, optimistic and ambitious. If you have this birthday your nature is inclined to be friendly, loyal and especially expressive in the written and spoken word. Never at a loss for words you possess a youthful outlook and an enthusiastic approach. Naturally witty and focused you are usually great at planning and organizing anything and although you are prone to stress you also know how to relax and have fun. Individuals with a December the thirtieth birthday tend to be rather idealistic yet in a positive way as well as being very responsible and family orientated. Decisive, generous and ordinarily mature for your age you strive to utilize your initiative at all times but you can be occasionally critical or bossy. Being incredibly curious and innovative can be influential in dictating the job options popular to a person born on the thirtieth of December. You are willing to work long and hard for professional success and your leadership ability can guide you to opt for running your own business. You should find working for yourself most stimulating, enjoyable and rewarding. Your ample levels of seriousness, decisiveness and optimism will help drive your intense efforts to make excellent progress and succeed. You are not usually particularly materialistic but making money and reaping financial rewards is commonly high on your list of priorities. For a Capricorn, the person born on the thirtieth day of December is typically in search of a strong affinity with someone special to love. A fabulous companion with lots of friends, a partner must share your enthusiasm for life and somewhat conventional attitude to romance and long term commitment. You seek a harmonious relationship and you will try and curb your touch of criticism as a happy home life is important to you. Aiming to express loyalty and devotion to a soul mate you are very dependable but you can be a bit cautious in revealing emotions and this can once in a while result in a little jealousy. In spite of this you endeavor to be caring and attentive concerning the emotional side of a loving partnership. This is accompanied by a keenness to settle down driven by an avid craving for warmth and stability. A shared wish to regularly escape the 'rat race' is a relationship essential. 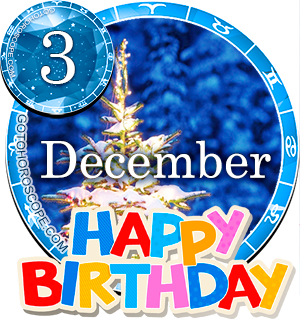 The vibrancy and good health usually experienced by those born on December 30th is often attributable to their degree of general happiness. Consequently you seem to appear at your healthiest when you are at your happiest. You are inclined to have a healthy appetite for nutritional food but also a potential fondness for sweet or fatty snacks. Although you are not overly fond of exercise you are prepared to attempt to establish a fitness routine if it is necessary for added healthiness. People born on this day should think about drinking plenty of fluids and keeping active as these are full of benefits for maximum mental clarity. Your main strengths of character are apparent within your combined optimism and ambition making you mostly capable, pragmatic and realistic. Your friendliness, eloquence, generosity and wit are supplemental qualities that further fill you with positivity. The personality weaknesses for those born on December 30th are quickly activated by any kind of negativity. Your negative tendencies are likely to involve an intensifying of your seriousness and high ideals along with a proneness to become noticeably closed emotionally. Your usual bright mood and manner can also diminish to be replaced by domineering verbal insults. Being born on the 30th of December usually gives you a liking for wild experiences including all types of travel and adventure. This predilection can sometimes generate fantasies but does not stop you from being brilliant at balancing goals and desired achievements in your personal life and career. Dreams can often focus on envisioning temporarily escaping daily responsibilities and visiting places of interest and mystery. As you were born on the thirtieth day of the month your birth date figures gain you an equivalent Root number of Three. This numerical reference to your birthday has the keyword 'Innovation' highlighting your inventive brainwaves, enterprising spirit and penchant for coordinated plans. In Tarot the 3rd Major Arcana card picturing the Empress is associated with your birthday. This is a sign of your charm, grace, maturity and overall expressiveness. The luckiest gem for December the thirtieth birthdays is imagined to be an Amethyst, to be worn for fortuitous enhancing of your concentration, creativity, contentment and wealth. The astrological derivational power of the planet Saturn is thought primarily accountable for the probabilities of all Capricorn personalities. The actual day you were born on, the thirtieth of December is astrally governed by Jupiter's influence differentiating you from others of your zodiacal group. Your energy and inquisitiveness push your usual eagerness to do everything and help boost your predicted youthfulness. You presumably spirited, direct and planned sense of direction should be trusted in order to satisfy your yearning for stable foundations. If you are able to take control of the weaker areas of your individuality your moodiness and fault finding will no longer be an issue. A final advising thought for people born on December the 30th is to live more in the present, try to avoid bluntness and take time to explain yourself to others. Doing so promises to point you towards more favorable opportunities and fortunate meetings. THE FACT THAT I ALTEADY KNEW THIS!!! Oh my gosh, this was reading me! So accurate! this thing! Wow, see I always thought that I was somehow not really all of a Capricorn. But I realized the day has a big part of who I am!